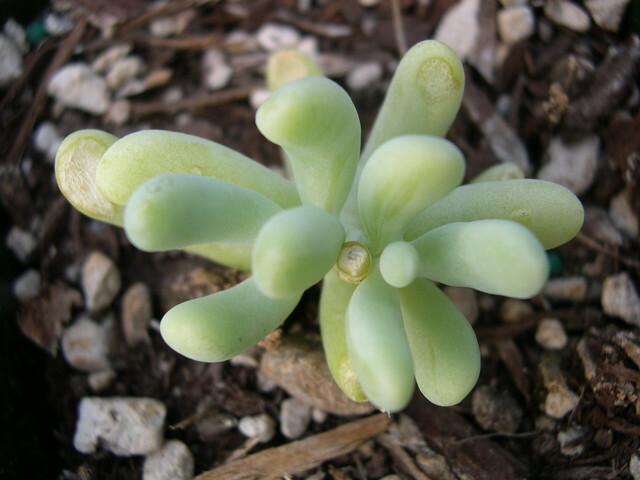 Thick succulent sausage-shaped leaves are powdery pale blue. Greenish white flowers in early summer. Sub-shrub to 12". Not cold hardy. Evergreen. Mexico.